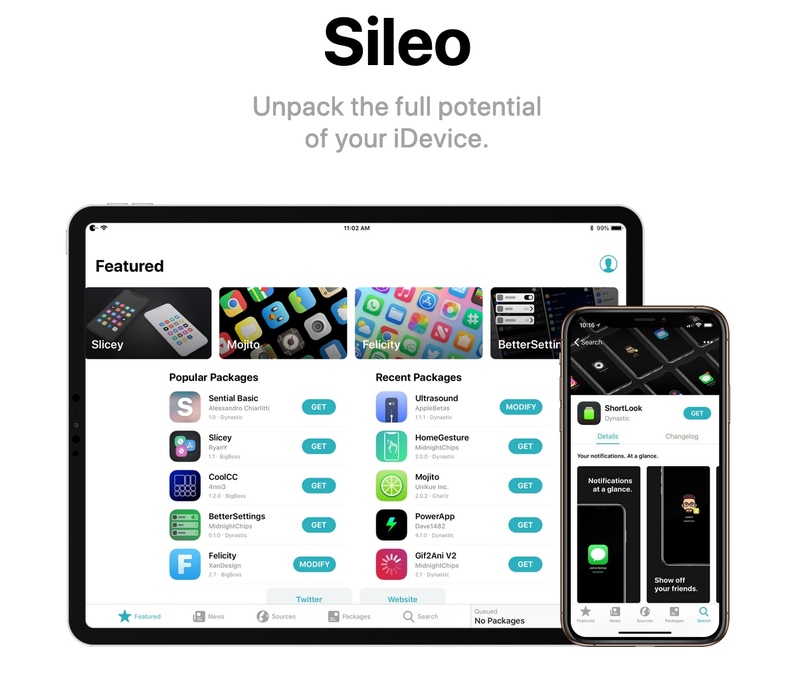 At the time of this writing, Sileo is an alternative and optional package manager that can be installed alongside Cydia on devices that have been jailbroken with Electra; but that will unquestionably change in the future. Exact dates for this change aren’t mentioned in the Electra Team’s Twitter-based announcement, but it could be a while before the Sileo package manager removes its beta preview training wheels. There has been no official response to this resistance from the Electra Team, indicative that the team plans to move forward with its plans regardless. 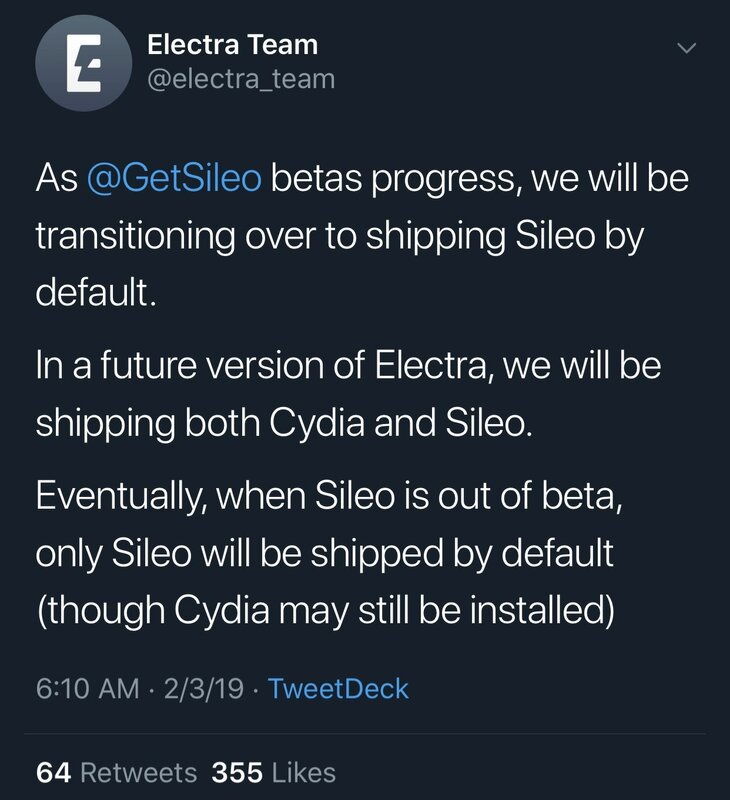 The Electra Team notes that while Sileo will effectively replace Cydia on the Electra platform, the latter could still be installed manually as an alternative package manager, much like the process to install Sileo beta preview today. Albeit more convoluted than a simple toggle switch within the Electra jailbreak itself, installing Cydia is still technically an “option” in this scenario. Conversely, Pwn20wnd’s iOS 11-centric unc0ver jailbreak bundles an updated version of the Cydia package manager, which has been refined for iOS 11 and comes with Saurik’s seal of approval. The Sileo beta preview can also be installed on the unc0ver jailbreak, but this method isn’t officially recognized or supported by the Sileo team. 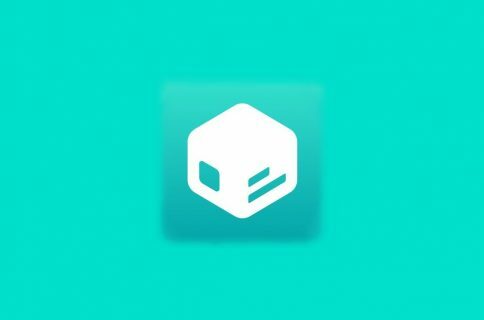 Sileo is currently on its second beta preview stage; a third beta preview is expected soon that’s supposed to let the BigBoss repository serve users with a single ad for revenue purposes. The second beta preview blocks the BigBoss repository’s ads, and it remains to be seen if one ad will be enough to keep the BigBoss repository afloat. 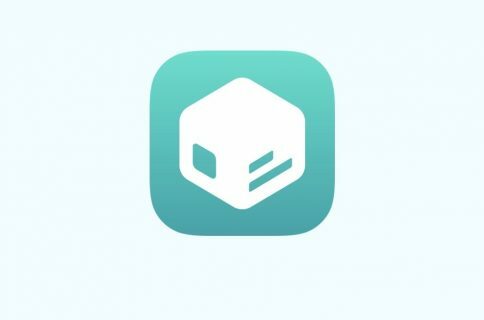 How do you feel about having Cydia replaced by Sileo on the Electra jailbreak? Share your thoughts in the comments section below.